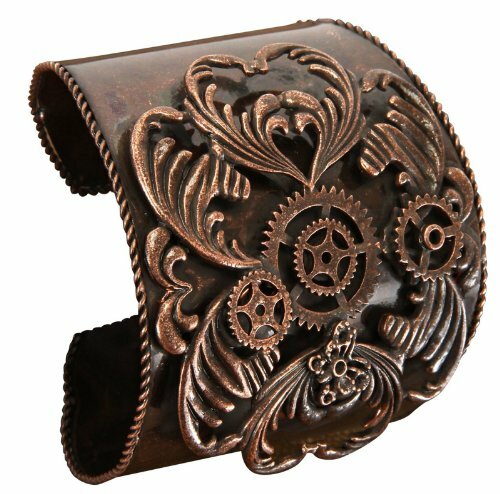 Enter into the wonderful world of Steampunk……..
One of my favorite pieces of steampunk fashion is the jewelry – you can wear a steampunk pendant or bracelet with some pretty standard clothes like a blouse and jeans or even more conservative office attaire. This adds a touch of personality to an outfit without looking like you’re about to go to a cosplay convention. I love this pendant which is available in four different colors – as purple’s my favorite color it’s the one I’ve decided to show you here! This pendant actually glows thanks to an led light which makes it look very mystical. This pendant is perfect for wearing out in the evening and totally transforms any outfit. 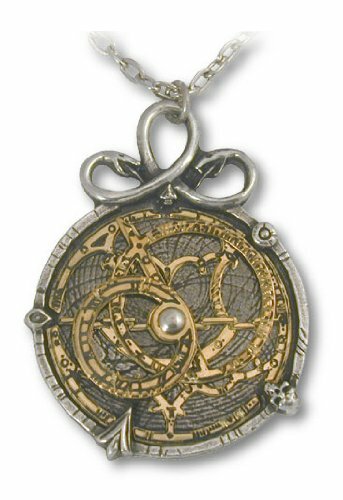 This pendant is from Alchemy of England and although I don’t have this particular pendant myself I have to say that I love jewelry from this company who specializes in Gothic and Steampunk jewelry. Their attention to detail with their designs leads of pieces of jewelry that always get positive comments from anyone that sees it. I love cuff style bracelets like this one. I haven’t actually seen this bracelet in real life and it’s referred to as a costume piece so how well it would hold up to every day use is debatable. The reviews that I have seen on a couple of sites (including Amazon) seem to be divided on the quality. Personally I only wear cuffs when I’m going out as opposed to all day so it would probably be fine for me, but if you’re looking at wearing it all the time – be warned that it might not be up to that much wear. Of course one of the best things about steampunk jewelry is that it’s fun to make your own and this is what a vast majority of ‘confirmed steampunkers’ actually do. There are lots of different ways in which you can make your own steampunk jewelry and I’ve found a couple of videos on Youtube that you might find interesting if you want to try jewelry making yourself. A word of warning though jewelry making can become addictive (I actually had to run a market store for a while to ‘get rid’ of some of the jewelry I’d made!). 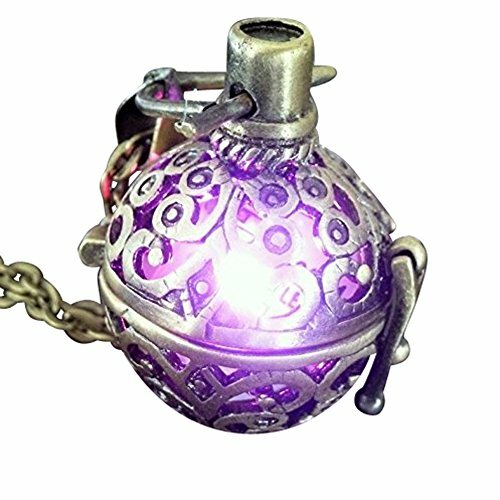 Ready Made Steampunk Jewelry to Wear Now!